Plasmonics is a research area merging the fields of optics and nanoelectronics by confining light with relatively large free-space wavelength to the nanometer scale - thereby enabling a family of novel devices. Current plasmonic devices at telecommunication and optical frequencies face significant challenges due to losses encountered in the constituent plasmonic materials. These large losses seriously limit the practicality of these metals for many novel applications. We are now in the process of finding materials with improved optical performance, as well as applying these new materials to novel devices. These materials include transparent conductive oxides (TCOs) such as indium tin oxide (ITO), gallium zinc oxide (GZO), and aluminum zinc oxide (AZO) and metallic nitrides such as titanium nitride (TiN), zirconium nitride (ZrN), hafnium nitride (HfN). TCOs have been shown to be effective plasmonic materials in the infrared region while transition metal nitrides extend into the visible spectrum. These materials are currently being used by the Boltasseva Group in novel plasmonic applications such as integrated plasmonic devices, tunable plasmonics, and particle trapping. 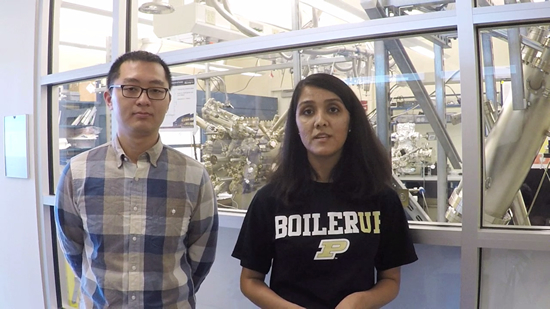 This project falls under the umbrella of research program carried out at the recently established Purdue Quantum Center. Plasmonics offers an exciting route to sub-wavelength optoelectronics by confining the optical fields below the diffraction limit. This is achieved by employing metal nanostructures resonant at a particular optical wavelength. Dynamic control of these plasmonic resonances at optical wavelengths is critical for many applications like integrated modulators and switches. In our group we have explored some of these exciting possibilities that result from real-time tuning of plasmonic resonances using graphene. Graphene - a perfect 2D material consisting of single monolayer of carbon atoms, has some fascinating electrical and optical properties. We exploited the highly tunable interband transitions in graphene to dynamically modulate the plasmonic resonance in bow-tie nanoantennas and Fano resonant plasmonic nanostructures. We have also developed an accurate time domain model for performing numerical simulations. 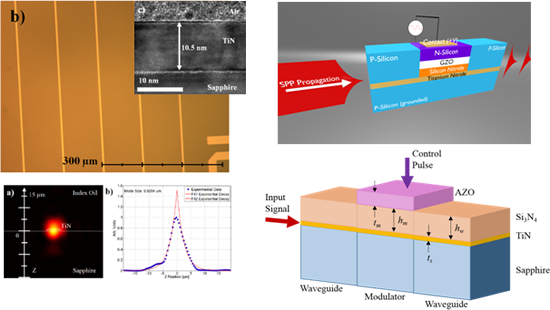 Currently, we are working on a graphene photodetector with a hybrid plasmonic fractal metasurface design which improves the broadband operation as well as the responsivity. Beyond graphene, we have also been interested in working with other two dimensional materials e.g. transition metal dichalcogenides (TMDs) such as MoS2, MoSe2, WSe2, WS2 etc. Amongst their many interesting properties, we would like to exploit the strong signature of room temperature excitons and make hybrid plasmon-excitonic systems to manipulate & enhance the photo detection or even the PL efficiency of the emitters. We also have efforts towards measuring the optical properties of different two dimensional materials through the broad optical range of VIS through MIR and their electrical tunability, eventually integrating them into devices with new plasmonic materials such as nitrides and TCOs. We have some recent efforts towards finding new 2D materials plasmonic in MIR as well. Naresh K. Emani, Ting-Fung Chung, Alexander V. Kildishev, Vladimir M. Shalaev, Yong P. Chen, Alexandra Boltasseva, "Electrical modulation of Fano resonance in plasmonic nanostructures using Graphene", Nano Letters 14 78 (2014). Naresh K. Emani, T. F. Chung, X. Ni, A. V. Kildishev, Y. P. Chen, and A. Boltasseva, "Electrically Tunable Damping of Plasmonic Resonances with Graphene," Nano letters 12, 5202-5206 (2012). L. J. Prokopeva, N. K. Emani, A. Boltasseva, and A. Kildishev, "Time Domain Modeling of Tunable Response of Graphene," in CLEO: 2013, San Jose, California, 2013, p. QTh1A.8. N. K. Emani, T.-F. Chung, L. Prokopeva, A. Kildishev, Y. Chen, and A. Boltasseva, "Tuning Fano Resonances with Graphene," in CLEO: 2013, San Jose, California, 2013, p. CW3O.4. In order to continue the rapid increase the computation technologies, additional solutions should be investigated to supplement current microelectronic chips. One of the most promising technologies is light. Plasmonic devices, which couple light to the oscillations of free electrons at a metal-dielectric interface, provide several advantages over photonic solutions. 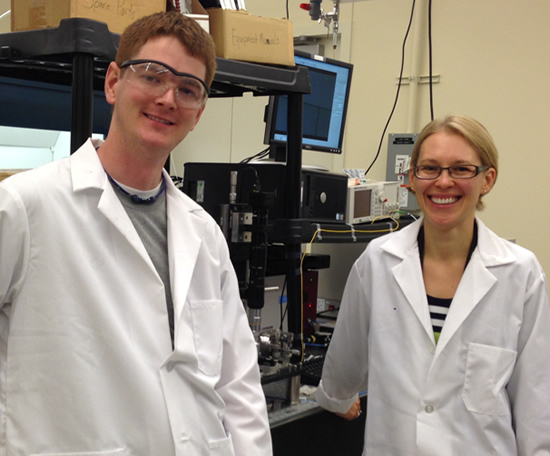 Plasmonic devices can have reduced coupling loss to ultra-compact active devices (modulators, sensors, switches, etc. ), have a large sensitivity to the metal-dielectric surface, and can carry both electrical and optical signals. Our research is focused on realizing high-performance devices such as low-loss waveguides, ultra-compact modulators, and sensors using a practical material platform (titanium nitride, doped zinc oxide, and supporting materials) that are compatible with standard semiconductor fabrication techniques. We collaborate with Dr. Sergey Bozhevolnyi from the University of Southern Denmark on this project. N. Kinsey, M. Ferrera, G.V. Naik, V.E. Babicheva, V.M. 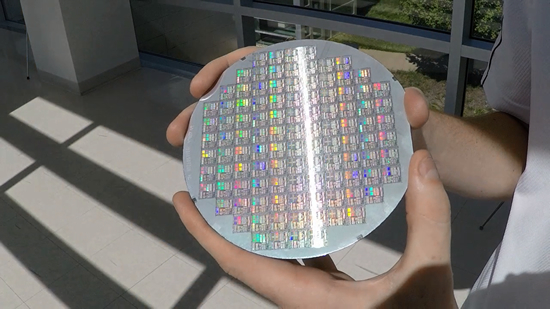 Shalaev, A. Boltasseva, "Experimental demonstration of titanium nitride plasmonic interconnects," Optics Express in Press, April 2014. V. Babicheva, N. Kinsey, G. Naik, M. Ferrera, A. Lavrinenko, V.M. Shalaev, and A. Boltasseva, "Towards CMOS-compatible nanophotonics: Ultra-compact modulators using alternative plasmonic materials," Optics Express, vol. 21, no. 22, 2013. Alternative plasmonic materials provide an exceptional potential for application in numerous areas of nanophotonics. However, some of the more basic material properties are not well investigated. In this project we are studying both the linear and nonlinear optical properties of alternative plasmonic materials. Another area of our study focuses on the nonlinear optical properties of alternative materials. The study of these materials is particularly important since the transition metal nitride family (titanium nitride, zirconium nitride, hafnium nitride, and tantalum nitride) can withstand significantly larger temperatures (i.e. optical intensities) than noble metal films which is critical for nonlinear applications. In addition, they are biocompatible and CMOS compatible. These properties make them ideal for applications in biological/medial sensing and integrated nonlinear optics applications. An example of this work is the study of effective third order nonlinear properties in TiN thin films using the z-scan technique where we compare the response with traditional metals. With a better understanding of the nonlinear properties of this family of materials, we hope to develop novel sensing and integrated nonlinear devices. We collaborate with Prof. Carl Bonner and Prof. Vladimir Gavrilenko (Norfolk State University) as well as Prof. Eric Van Stryland and Prof. David Hagan (University of Central Florida) on this project. N. Kinsey, C. DeVault, J. Kim, M. Ferrera, V.M. Shalaev, and A. Boltasseva, "Epsilon-Near-Zero Al-Doped ZnO for Ultrafast Switching at Telecom Wavelengths," Optica, vol. 2, no. 7, 2015. N. Kinsey et al, "Effective Third-Order Nonlinearities in Refractory Plasmonic TiN Thin Films," submitted to Optical Materials Express, 2015. Artificial metasurface is considered as alternative component for three dimensional metamaterials due to its simplicity. 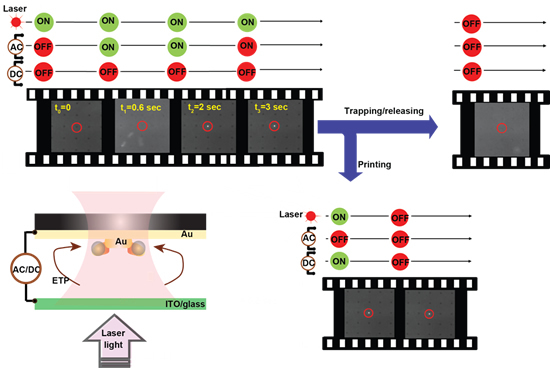 Using low-loss plasmonic materials such as transparent conducting oxides (TCO) as alternatives to gold or silver, it is possible to have plasmonic metasurfaces with reduced losses in the near Infrared wavelength. 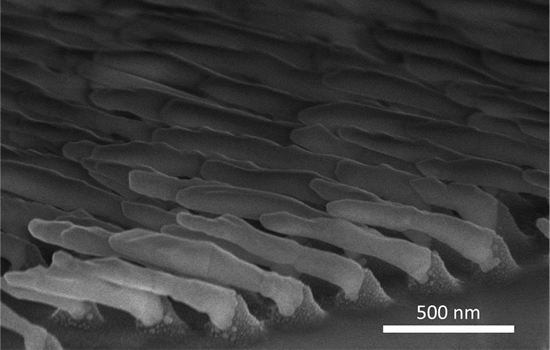 Conventional nanofabrication techniques are employed to realize the metasurface, thereby enabling easy integration of metasurfaces into nanophotonic devices. In addition, thermal and electrical tunability of TCOs offer great possibility to realize switchable metasurfaces. Epsilon-near-zero (ENZ) materials are the optical materials classified by a real part of the dielectric function close to zero. The resonance of nanoantenna on the ENZ layer can be influenced by the optical properties of ENZ materials. The resonant wavelength and the radiation at plasmon resonance are both dictated by the substrate to a significant extent. 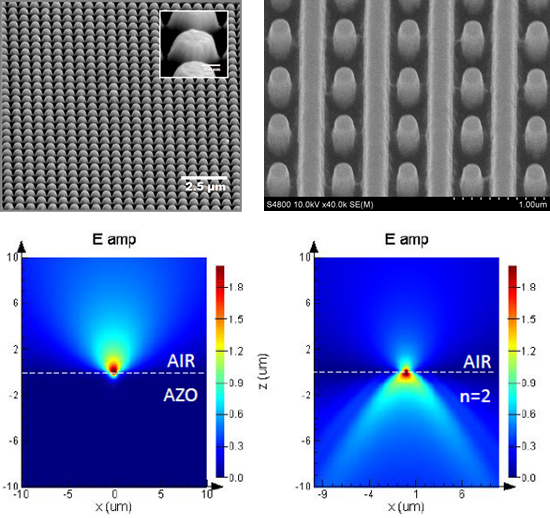 ENZ layer isolates the effect of substrate on the nanoantenna by diverting all the radiation into the upper plane and clamping the resonance of the antennas to the ENZ wavelength. In our experiments, AZO and GZO layer serves as an ENZ materials in the near-infrared (?=1.2 and 1.3 µm). Optofluidics, which is a synergy between optics and microfluidics is a promising approach for versatile lab-on-a-chip applications including sensing, particle manipulation and sorting. 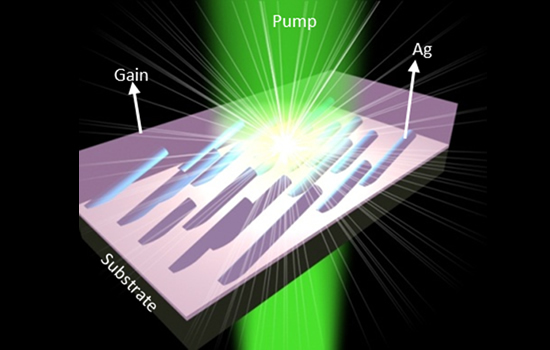 Plasmonics, which offers unparalleled capability for light confinement and guiding at the sub-wavelength scale, is an emerging technology for realization of compact devices for a wide range of applications in biosensing, energy conversion, nanofabrication, nanoscale resolution imaging and enhancement of spontaneous emission. Integrating plasmonics with optofluidics enables new possibilities in micro and nanofluidics including particle manipulation, sorting, sensing and ultrasensitive spectroscopy on a lab-on-a-chip platform. Our Plasmo-Fluidics research activities are further described below. Plasmon-enhanced optical trapping is being actively researched as a means for stable trapping of nanoscale objects, which cannot be addressed by conventional diffraction-limited laser tweezers. In this approach, plasmonic nanoantennas are illuminated to generate highly localized and enhanced electromagnetic field in the vicinity of the nanoantenna. This highly enhanced and localized field also known as a plasmonic hotspot generates a tight trapping potential well for confining nanoscale objects. However a long standing problem in this field is how to rapidly load the potential well without relying on Brownian diffusion. 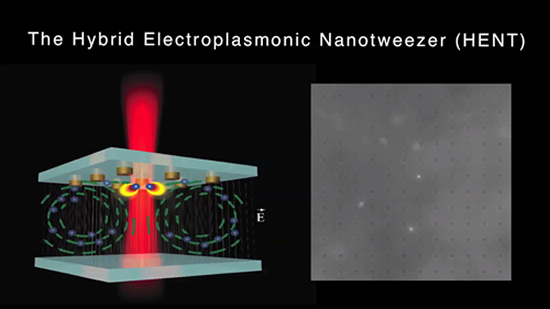 Conventional plasmonic nanotweezer design rely on Brownian diffusion to load the trap, which is very slow and could take several minutes to hours depending on the concentration of the nanoscale objects. Recently we have addressed this challenge by introducing a novel design paradigm known as the Hybrid Electroplasmonic Nanotweezer (HENT), where a large scale microfluidic vortex is induced to enable rapid delivery and trapping of nanoscale objects within a few seconds. Furthermore we also print the trapped particles using a DC field, thus enabling additive nanomanufacturing functionality on-chip. Another aspect of this research focus on the use of closely spaced plasmonic nanoantennas arranged in an array. In this case, illumination of the elements in the array give rise to collective heating effect and a spatially distributed temperature field. With an applied AC electric field, volumetric body forces are induced in the fluid to generate a large scale microfluidic vortex. The vortex capture suspended particles and concentrate them with high throughput on the surface of the illuminated nanoantenna array. Justus C. Ndukaife, Avanish Mishra, Urcan Guler, A. G. Agwu Nnanna, Steven T. Wereley, Alexandra Boltasseva, "Photothermal Heating Enabled by Plasmonic Nanostructures for Electrokinetic Manipulation and Sorting of Particles", ACS Nano 8, no. 9 (2014): 9035-9043. Justus C. Ndukaife, Alexander V. Kildishev, A. G. Agwu Nnanna, Steven T. Wereley, Vladimir M. Shalaev, Alexandra Boltasseva, "Hybrid Electroplasmonic NanoTweezer (HENT): Highly resolved long-range optofluidic control and delivery of single particles on-demand" (under review). Justus C. Ndukaife, Alexander V. Kildishev, A. G. Agwu Nnanna, Steven T. Wereley, Vladimir M. Shalaev, Alexandra Boltasseva, "Electrothermoplasmonic Flow for Plasmon-assisted Optical Trapping", (invited talk for 2015 SPIE Conference on Plasmonics: Metallic Nanostructures and their Optical Properties XIII San Diego, California, USA, August 12, 2015) . Justus C. Ndukaife, A. G. Agwu Nnanna, Steven T. Wereley, Alexandra Boltasseva, "Harnessing Intrinsic Photo-induced Heating of Plasmonic Nanostructures for Manipulation of Micro and Nanoscale Objects", (accepted for oral presentation at ASME IMECE 2015 Conference, Houston Texas, USA, November 13-19, 2015). Justus C. Ndukaife, Alexander V. Kildishev, A. G. Agwu Nnanna, Steven T. Wereley, Vladimir M. Shalaev, Alexandra Boltasseva, "Versatile Plasmofluidic Device for On-chip Concentration, Manipulation and Sensing of Particles in Suspensions", (Gordon Research Conference on Microfluidics, Physics and Chemistry in Mount Snow, Vermont, May 31-June 5, 2015). Justus C. Ndukaife, Alexander V. Kildishev, A. G. Agwu Nnanna, Steven T. Wereley, Vladimir M. Shalaev, Alexandra Boltasseva, "Plasmon-Assisted Optoelectrofluidics", (contribution AW3K.5, CLEO /A&T Topical Review - Optofluidics Microsystems I, 2015 Conference). Justus C. Ndukaife, Avanish Mishra, Urcan Guler, A. G. Agwu Nnanna, Steven T. Wereley, Alexandra Boltasseva, " Photothermal heating enabled by plasmonic nanoantennas for electrokinetic manipulation and sorting of submicron particles", contribution FTh1K.2, CLEO 2014, San Jose, CA, USA, June 8-13, 2014. While conventional physical vapor deposition evaporators deposit material at near-normal angle of incidence, the Glancing Angle Deposition system allows thin films to be deposited onto three-dimensional structures with non-conformal geometries at very sharp angles (up to 90 degrees). Additionally, our evaporator is fully automated - with computer controlled 2 axes of rotation, deposition monitoring, and source selection. Automation of the system allows for the many multi-layer deposition required for the future generation of optical metamaterial devices. One example of a sample fabricated with glancing angle deposition is shown below. This image shows the result of silver deposited on a 5 micron silicon sphere at a glancing angle. As can be seen in the image, a gradient thickness of silver is distributed along the surface of the sphere, with each thickness providing unique optical properties. P.R. West, N. Kinsey, M. Ferrera, A.V. Kildishev, V.M. Shalaev, A. Boltasseva, "Adiabatically Tapered Hyperbolic Metamaterials for Dispersion Control of High-k Waves," Nano letters (December 8, 2014). P.R. West, N. Kinsey, M. Ferrera, A. Kildishev, V.M. Shalaev, A. Boltasseva, "Engineered Outcoupling of Adiabatically Tapered Hyperbolic Metamaterials," CLEO, 2015. Z. Wang, X. Meng, S. H. Choi, Y. L Kim, V. M Shalaev, A. Boltasseva, "Plasmonic Random Lasing in Strongly Scattering Regime with Slanted Silver Nanorod Array," CLEO, 2015. Collaborators: Prof. Young L. Kim, Seung Ho Choi, Prof. Hui Cao, Dr. Sebastian Knitter. Our nanolaser project aims to develop compact light sources using plasmonic nanostructures as resonant cavities. Here, we use an approach based on plasmonic metamaterials, composed of three-dimensional metallic nanorods (prepared by the glancing angle deposition, GLAD), to achieve plasmonically controlled random lasing. Our findings show that plasmonic metamaterials allow for the modulation of random lasing which may open up new avenues in nanolaser device design as well as fundamental science and spectroscopy. We are also interested in using other novel structures fabricated by GLAD technique and structures made of new plasmonic materials to achieve nano-scale coherent optical sources. The following figure shows a schematic of plasmonic random laser based on silver nanorod metamaterials.